The most northerly of the Scottish islands, Shetland lies almost the same distance from Bergen in Norway and Torshavn in the Faroe Islands as it does from Aberdeen in Scotland. The 100 islands, 15 of which are inhabited, remain very proud of their Norse heritage which can be detected in place names, the local dialect and even the lilt of the music. The dramatic landscape to the west is pounded by the Atlantic Ocean, while the east coast is washed by the North Sea. 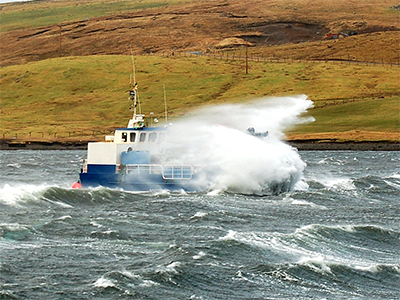 The open seas and strong tidal currents result in good water exchange and crystal clear seas – an ideal environment for fish and shellfish to thrive. 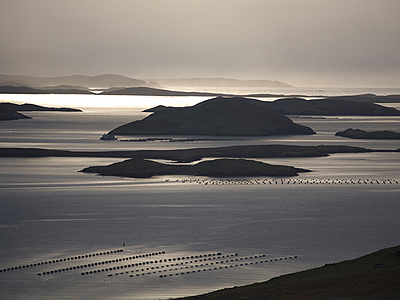 It is not surprising that the marine environment has sustained generation after generation of Shetland people – from traditional fishing to fish and shellfish farming, the islands are known for the quality of its produce, which is exported all over the World. Of all shellfish, mussels are perhaps particularly at home, growing naturally in the cool, clear and nutrient-rich waters.